I hope you enjoyed Minecraft PE 1.2 and you are looking forward to the next update, which should take place around the beginning of winter. If we talk about version 1.2, then you can list a lot of items from a large changelog: fireworks, parrots, stained glass and much more. That update has removed the Pocket Edition prefix and now Minecraft for Android and iOS (as well as a special version for Win10) is indicated without additional words with the exception of Bedrock. This may seem strange because the old players are already used to calling MCPE, but Mojang decided to do it just to distribute versions for different devices correctly. But let's better discuss the next big update - Minecraft PE 1.3. It is expected to become an alternative for MC 1.11 Java due to the large number of common features. But before releasing 1.3, developers will please the players with small bugfixes and modest innovations in MCPE 1.2.4+. Important: these are only possible changes that can be added to 1.3. 1. New options have already been confirmed and will become one of the features. 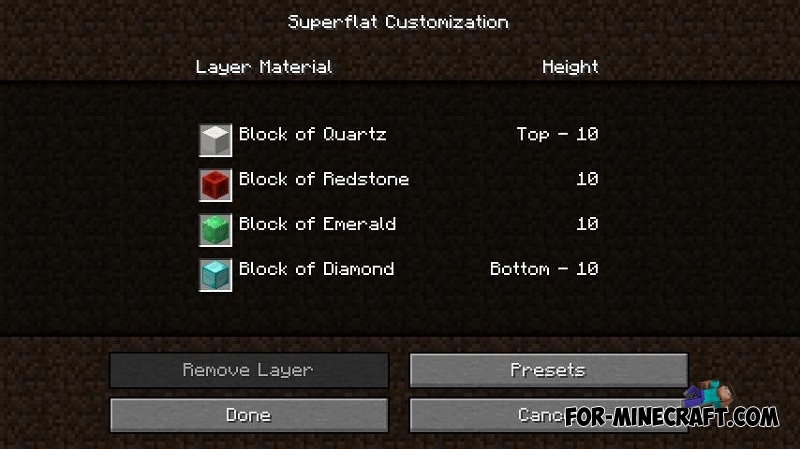 Using the settings when creating the world, you can create separate levels by filling them with the selected blocks. This is already possible in Java and the options are quite useful in the construction of grandiose buildings. 2. This feature has been discussed for a long time and it is likely to be gradually introduced into the game. 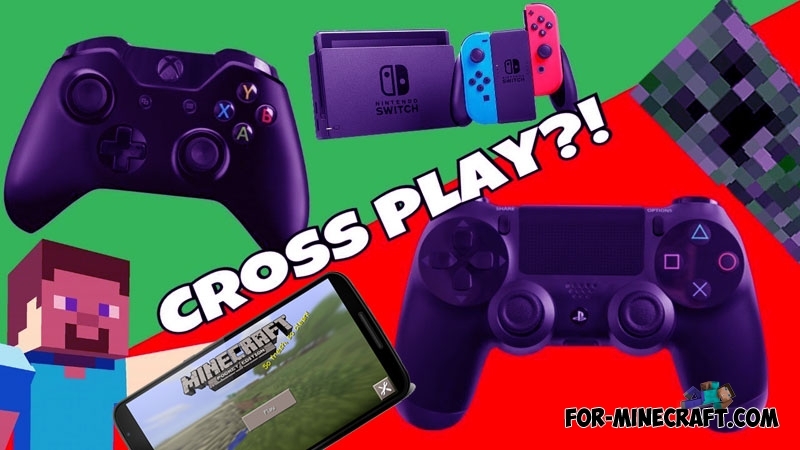 Cross-platform allows Minecraft PE, Nintendo, Xbox and PS4 players to play together on the same server. This is possible due to almost the same content of the game. 3. Mojang tries to optimize MCPE by making sure that owners of low-end devices can enjoy the game on a par with other players. By changing the parameters and adding new ones, the developers hope to increase FPS and performance. 4. Probably biomes will get new properties and a smooth fusion of one with another. Thanks to this you will not even notice how you got into the winter biome from sandy. 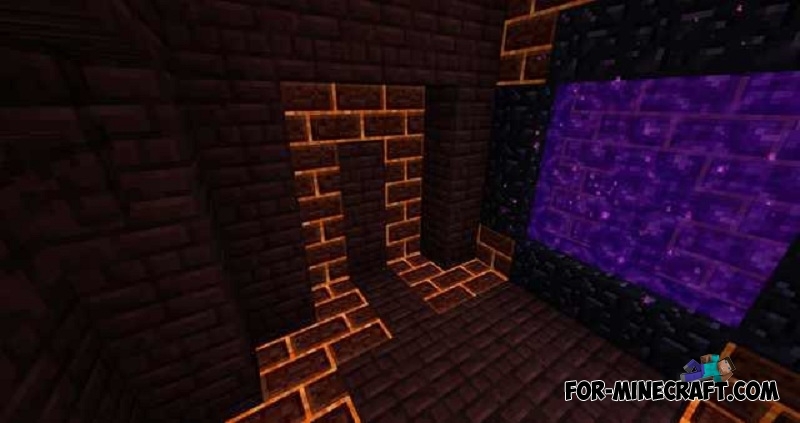 Download the latest version here - Minecraft PE 1.2.